of Mallaby House who died Feb 15th 1926. Aged 62 years. 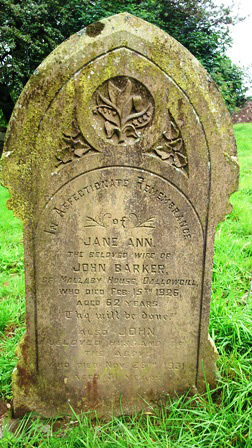 Also John beloved husband of the above who died Nov 28th 1931. Aged 81 years.